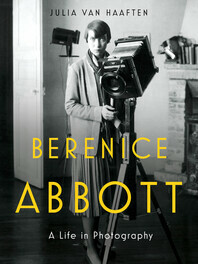 Berenice Abbott - Description | W. W. Norton & Company Ltd.
Berenice Abbott is to American photography what Georgia O’Keeffe is to painting or Willa Cather to letters. Abbott’s sixty-year career established her not only as a master of American photography but also as a teacher, writer, archivist and inventor. A teenage rebel from Ohio, Abbott escaped to Paris—photographing, in Sylvia Beach’s words, “everyone who was anyone”—before returning to New York as the Roaring Twenties ended. Abbott’s best known work, “Changing New York”, documented the city’s 1930s metamorphosis. She then turned to science as a subject, culminating in work important to the 1950s “space race”. This biography secures Abbott’s place in the histories of photography and modern art while framing her accomplishments as a female artist and entrepreneur.